246 pages | 35 B/W Illus. Slum tourism is a globalizing trend and a controversial form of tourism. Impoverished urban areas have always enticed the popular imagination, considered to be places of ‘otherness’, ‘moral decay’, ‘deviant liberty’ or ‘authenticity’. ‘Slumming’ has a long tradition in the Global North, for example in Victorian London when the upper classes toured the East End. What is new, however, is its development dynamics and its rapidly spreading popularity across the globe. Township tourism and favela tourism have currently reached mass tourism characteristics in South Africa and in Rio de Janeiro, Brazil. In other countries of the Global South, slum tourism now also occurs and providers see huge growth potential. While the morally controversial practice of slum tourism has raised much attention and opinionated debates in the media for several years, academic research has only recently started addressing it as a global phenomenon. This edition provides the first systematic overview of the field and the diverse issues connected to slum tourism. This multidisciplinary collection is unique both in its conceptual and empirical breadth. 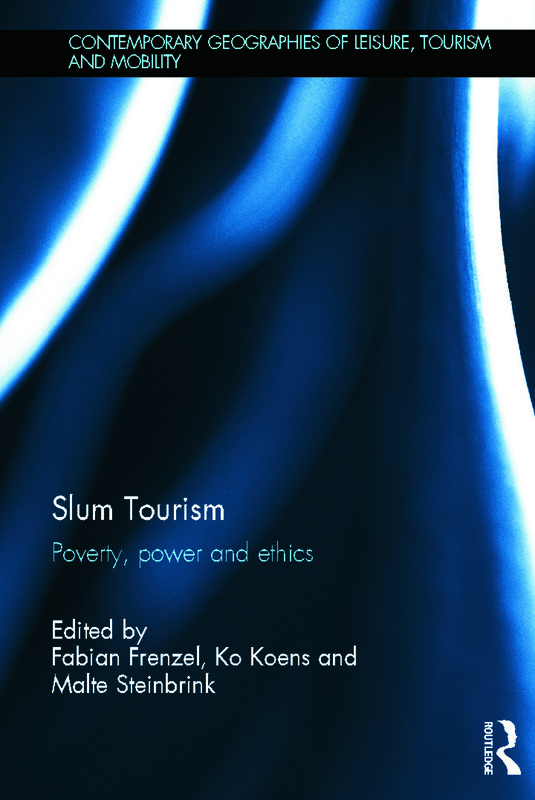 Its chapters indicate that ‘global slumming’ is not merely a controversial and challenging topic in itself, but also offers an apt lens through which to discuss core concepts in critical tourism studies in a global perspective, in particular: ‘poverty’, ‘power’ and ‘ethics’. Building on research by prolific researchers from ten different countries, the book provides a comprehensive and unique insight in the current empirical, practical and theoretical knowledge on the subject. It takes a thorough and critical review of issues associated with slum tourism, asking why slums are visited, whether they should be visited, how they are represented, who is benefiting from it and in what way. It offers new insights to tourism's role in poverty alleviation and urban regeneration, power relations in contact zones and tourism's cultural and political implications. Drawing on research from four continents and seven different countries, and from multidisciplinary perspectives, this ground-breaking volume will be valuable reading for students, researchers and academics interested in this contemporary form of tourism. 1. Slum Tourism – A New Trend in Tourism? Part 1: Situating Slum Tourism 2. Wanting to Live with Common People? The Literary Evolution of Slumming 3. Beyond ‘Othering’ the Political Roots of Slum-Tourism 4. Slum Tourism: For the Poor by the Poor 5. Competition, Cooperation and Collaboration: Business Relations and Power in Township Tourism Part 2: Representation of Poverty 6. 'A Forgotten Place to Remember: Reflections on the Attempt to Turn a Favela into a Museum' 7. Tourism of Poverty: The Value of Being Poor in the Non-Governmental Order 8. Negotiating Poverty: The Interplay Between Dharavi's Production and Consumption as a Tourist Destination 9. Reading the Bangkok Slum Part 3: Slum Tourism and Empowerment 10. Favela Tourism: Listening to Local Voices 11. Slum Tourism and Inclusive Urban Development: Reflections on China 12. Poverty Tourism as Advocacy: A Case in Bangkok 13. Curatorial Interventions in Township Tours: Two Trajectories Conclusion 14. Keep on Slumming? Fabian Frenzel is Lecturer at the School of Management, University of Leicester. Ko Koens is a postgraduate researcher and part-time lecturer at the International Centre for Research in Events, Tourism and Hospitality, Leeds Metropolitan University. Malte Steinbrink is Senior Lecturer of Social and Cultural Geography at the Institute of Geography and the Institute of Migration Research and Intercultural Studies (IMIS), University of Osnabrück, Germany.